Specializing in exercise rehabilitation and manual therapy, Dr. Parenteau founded and operates Dr. Parenteau Pain Relief & Rehabilitation at 1B – 1830 Oak Bay Avenue in Victoria, B.C. 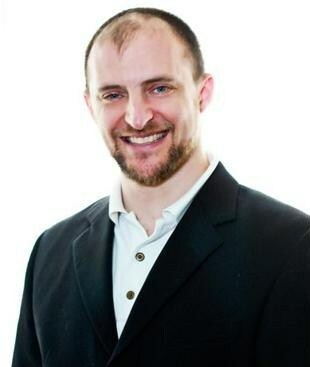 He is a National Board Certified chiropractor in both the United States and Canada. He practiced in Santa Rosa, California from 2002 until 2007 when he moved his family to the most health concious and beautiful city in the world: Victoria, B.C. Dr. Parenteau has taught low back health and headache classes at the University of Victoria’s Continuing Studies Department. 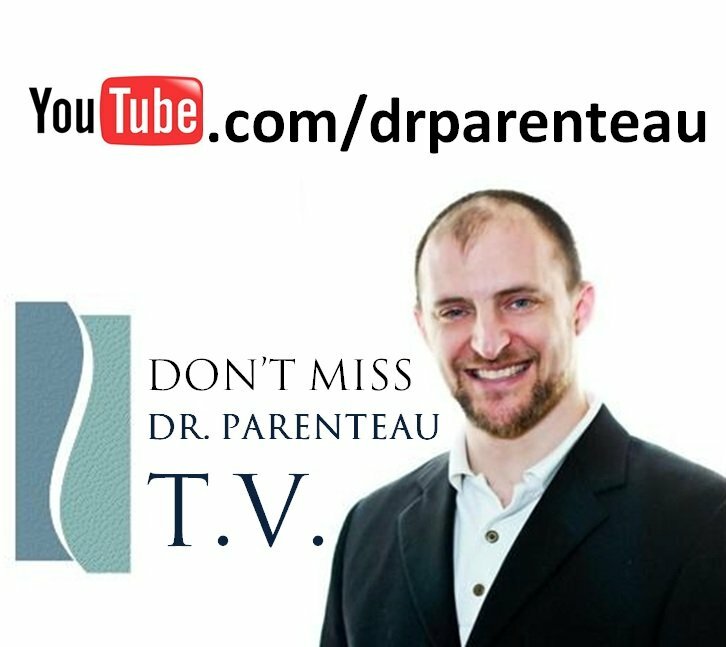 Dr. Parenteau wrestled competitively in high school and college and currently maintains his fitness through Brazilian Jiu Jitsu at the Victoria based ZUMA training centre. He also worked as head medical supervisor for the Maria Carillo high school wrestling program from 2004 to 2006 in Santa Rosa, California. 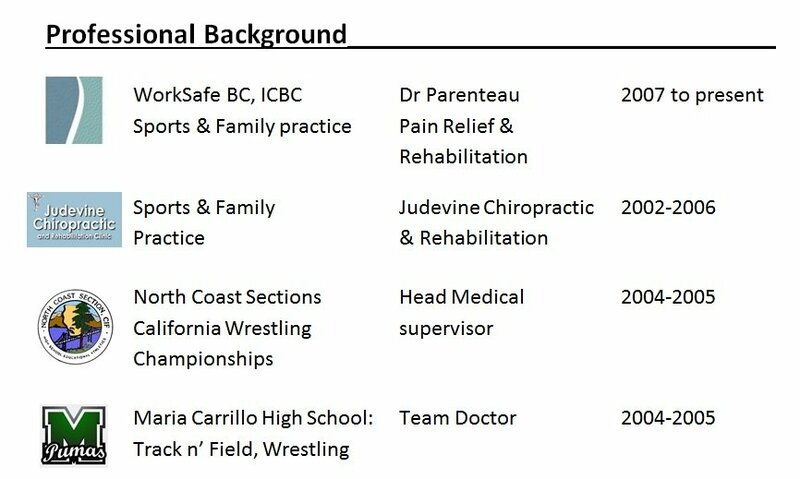 He was also the head medical supervisor for the 2004 and 2005 North Coast Section California Wrestling Championships.